Parvy’s innate creativity and attention to detail, along with her commitment to delivering exquisite, unique event solutions, allow her to consistently exceed her clients’ expectations. “I grew up in the small town of Chatham, in Kent, where I dreamed of becoming a creative designer in the events industry. However – as many of us do – I gave up on my aspirations and took a different career path which saw me working in the care sector, ultimately as a business manager, for 16 years. One day it became clear that it was time for me to change course. I wanted to continue using the organisational skills I’d honed during my career and combine them with my creative vision and passion in order to pursue my long-held dream of becoming a wedding planner. Initially I forged an affiliation with a large venue as their nominated Asian wedding coordinator – traditional Asian weddings are complex, with many diverse cultural and religious aspects to be considered, and I had the knowledge and experience to honour each and every element. With undeniable self-belief that I was on the right tracks, in August 2013 I established SNOB Events with the objective of becoming one of the UK’s top luxury wedding planners and event coordinators. Experiencing an immense energy and determination which I channeled into my business, I was delighted that within such a short time my efforts paid off and I started to gain a reputation for excellence in my industry. 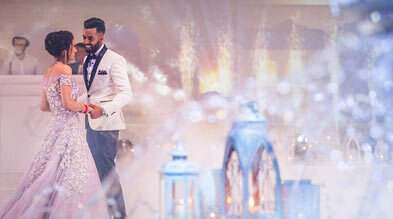 With dynamism, drive and dedication to perfection, Parvy has quickly been recognised within her industry, winning Wedding Planner of the Year at The Asian Wedding Awards, as well as being shortlisted as a finalist for Best Small Business of the Year at Lloyds Banking Group’s The English Asian Business Awards and Wedding Planner of the Year at The British Asian Wedding Awards (BAWA) amongst others – please click for a full list of her Accolades to date. 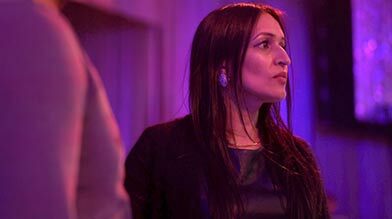 Parvy has been an inspiration to other women in business, being shortlisted as a finalist for Outstanding Business Woman 2014/15 at the Institute of Asian Businesses after her first successful year in the industry. She has since been invited to participate as a speaker at a NatWest event to encourage women to set up their own businesses. Despite her success, Parvy has remained humble about her achievements; as a reflection of her humility, ethics and integrity, she has dedicated a considerable amount of time to supporting members of the community and charitable causes, leveraging her skills and influence to organise events to raise funds and heighten awareness. Awareness event for Freedom for Minds – a charity set up to address the stigma of mental health issues. Lohri of Hope ball for Unique Home – a charity to help house abandoned girls in India – raised £25,000. Event for Give a Girl a Future - supporting South Asian women train to get the skills they need to work, help feed their families and have hope for the future. SNOB Events was the headline sponsor and managed the event, in conjunction with the British Asian Trust and GMSP Foundation.